If you want to tell a story you have to make sure you got the facts right. 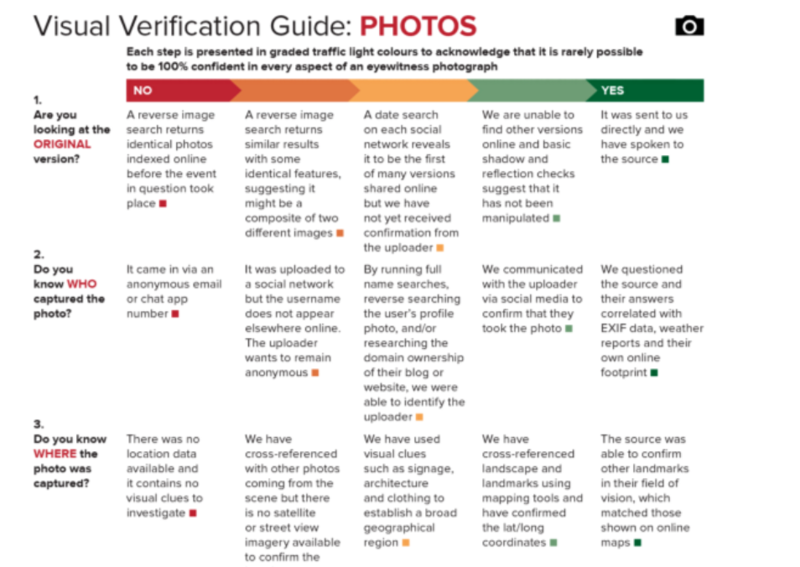 Verification is about fact checking, but also about verifying where your content came from. Is your source reliable? Found a photo on the internet? This infographic will help you find out through questions and rates if your photo is safe to use.